I love these canvas prints. We have several now and I have given many away as gifts. We just had pictures taken of the girls and I’ve been waiting for this offer to come back. Perfect timing since Valentine’s Day is almost here. 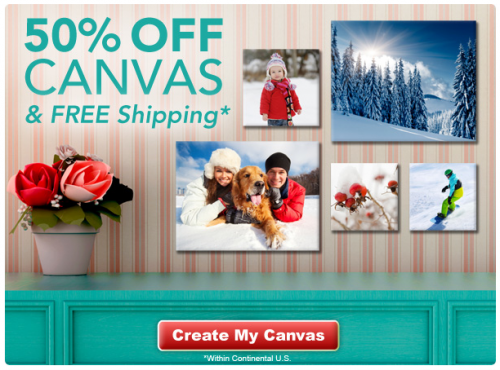 Head over to Canvas People and get 50% off any size canvas print plus, free shipping. I’ve used Canvas People several times now and love their work. It’s such a great gift. *Free shipping applies to US residents only. FREE Photo Canvas is back!